How are you loves? Well, I am just keeping my promise to regularly update this blog. I am planning to buy a domain name maybe by next month and officially change my domain name into my name, maybe?? And also which host will am I going to use. My other blog has it’s own domain but I already have a bad experience about the domain host so I am thinking to try another. duh I dont wanna stress myself just yet, I guess I should go on with this product review first but please also tell me what you think about that getting my own domain. I should have worked on this post last month but I was too busy and we lost access to electricity for like more than two weeks due to the typhoon. Going back to the topic. Because of the craze going on about BB Creams, I thought of buying one affordable and budget friendly BB Cream to try on. This makes this San San BB Cream the first ever BB cream I have tried in my whole life *grins*. Still innocent about how BB creams work but I make sure that all my opinions about this San San BB Cream are based on my own thoughts and not influenced by others. Hyaluronic Acid that is said to lessen the appearance of wrinkles and make your skin look youthful. SPF 43 which is very high that can protect your skin from harmful UV rays of the sun for 5-7 hours. Vitamins A, C and E which is great. It means it can protect, energise and hydrate skin. Squalane which smoothes dry and flaky skin. It comes with squeezable tube with a pump on bottom. I like the package because I can easily control the amount of the product I need. It is also an additional point that it has a transparent cap. Shades: I got the Beige shade, ideally for morena skin like me. There are only two shades available. The Natural shade which was just released recently is for white complexion tone. Directions for Use: Apply sufficient amount on face then blend evenly. When applying this BB Cream, I use my fingers in blending whenever I like to just create a natural look. I use a makeup brush when I like a more flawless finish and full coverage. However, it is always your own preference what is convenient for you to use. 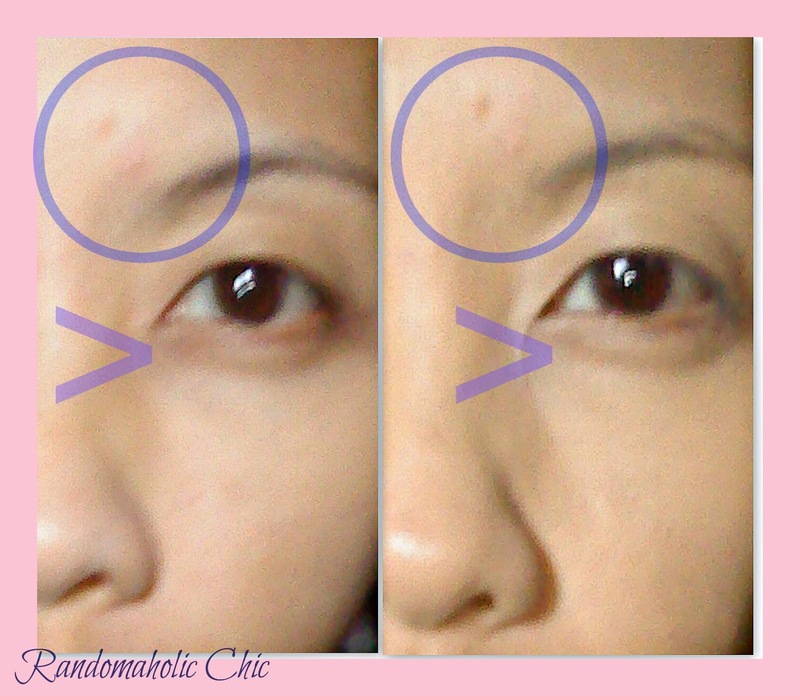 As you can see in the picture, it covers my blemishes and my dark eye circle as I expected. I like that it has a dewy effect perfect for people with dry skin like me. However, you can always cover with powder to hide the dewiness. It looks good on my face, in person. No break outs so far. It is amazing how this BB Cream makes my makeup takes less time. It really conceals the redness and small pimple marks of my face. I like that it has a dewy effect, very perfect for my dry skin. Doesn’t have a bothering smell. It feels heavy on my skin after 7 hours that I really feel the need to wash my face already. My skin feels oily after 4 hours outdoor and that is without a powder on. However, that really doesn’t bother me alot, I can use a blotting paper or touch up face powder. Also, I don’t go out often, I stay most of my time indoors. But if you were commuting to work, it’s okay as long as you don’t stay under a humid heat for more than 4 hours or your face will look very dewy. But if you will stay under a cold temperature or in an airconditioned room, I am pretty sure this BB Cream works best for you. If you have an oily skin, always have your blotting paper or matte finish powder every four hours to the rescue. Since it gives my skin flawless coverage and it covers imperfection without being obvious that you are wearing BB cream, I recommend this. However, if you have an oily skin type, make use of my tips. Recommended most especially if you don’t like to use foundation that is heavy on face, this San San BB Cream prolly can do the trick of covering your imperfections. I like that this hbc San San BB Cream has a lot of skin benefits. Provides care, perfection and protection to my skin. For me, this is a perfect product to look very natural with a minimal effort. 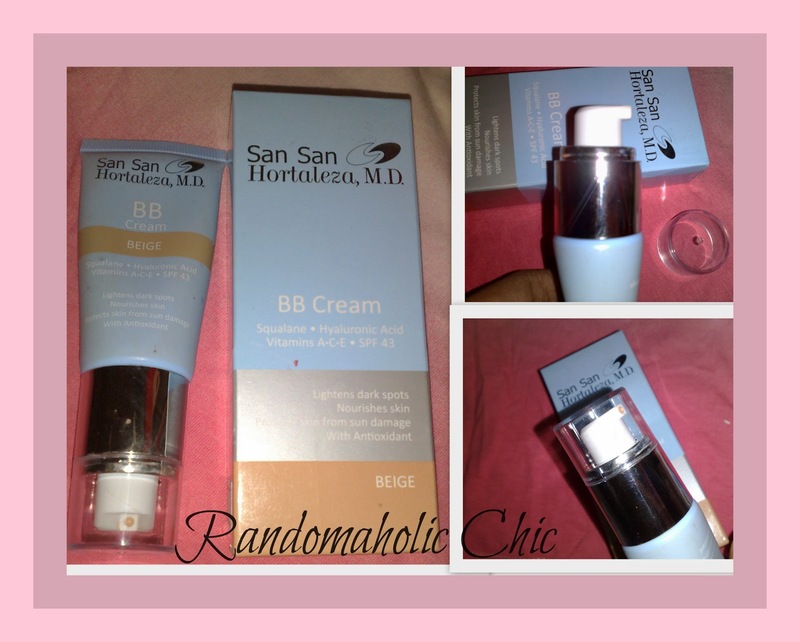 Have you ever tried BB Cream from San San? Thank for the review I ave never tried this because my skin doe not react well with BB creams.